It may not have been the tsunami some expected, but the Democrat’s long-promised blue wave was enough to carry the party to a majority in the House of Representatives on Tuesday. The Senate, meanwhile, remained firmly in Republican hands. With control of the House, Democrats will be able to fulfill their promise to be a check on the Trump administration these next two years. And yet, the power split in the two chambers of Congress could make it harder than it already was to pass new legislation—even legislation with bipartisan backing. For the tech industry, that’s both good news and bad news. The good news: As House Democrats spar with the Republicans in the Senate, the last thing either party will want to do is hand the other side a win. That means that until 2020, it will be much more difficult for Big Tech’s critics on Capitol Hill to push through much-threatened regulations on the industry’s ads or its monopolistic business practices. The bad news: There are some regulations that the industry desperately wants to pass, namely, a federal privacy bill that would preempt a much tougher bill in California, set to go into effect in 2020. Tech giants and industry groups like the Internet Association have been lobbying hard for a federal bill, and senators on both sides of the aisle have expressed support for some federal legislation. It’s unclear at this stage whether a Democratic House would let President Trump be the one to sign off on such a historic law. The tech industry also faces a notably less cozy environment in the Senate after Tuesday night. Marsha Blackburn, for one, won her race in Tennessee. As a House representative, Blackburn battled tech giants at nearly every turn. Backed by the telecom industry, she opposed net neutrality protections and voted to overturn an Obama-era rule that would have required broadband providers to get people’s permission before selling their browsing data. On the campaign trail, she took every opportunity to criticize the tech industry for alleged liberal bias. That’s been a rallying cry in the House that Blackburn may well amplify in the Senate. If she does, she’ll have a friend in Senator Ted Cruz. The Texas senator defended his seat against Democratic insurgent Beto O’Rourke, whose campaign was heavily financed by the tech industry. Like Blackburn, Cruz has seized on the opportunity to accuse tech giants of partisan censorship and recently skewered Google over its experiments in building a censored search engine for China. Former Missouri attorney general Josh Hawley, meanwhile, will replace Democrat Claire McCaskill in the Senate. 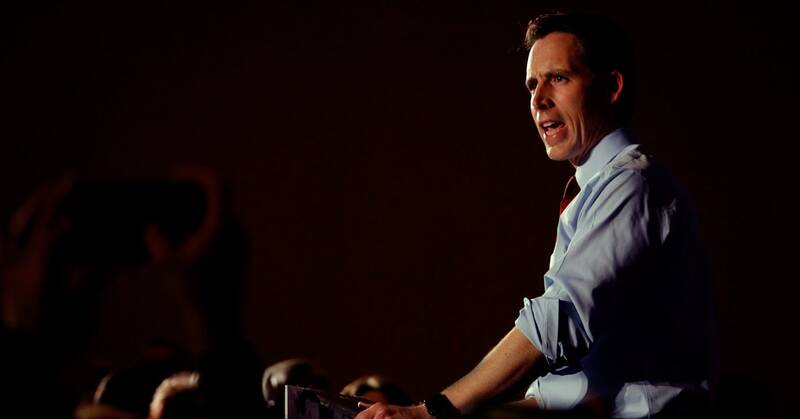 Hawley, a Republican, took a tough stance on tech as attorney general, opening separate investigations into Google, Facebook, Uber, and Equifax over anti-trust and data privacy issues. Tuesday’s race also alters the dynamics of the congressional committees tasked with holding these companies accountable. Senator Bill Nelson of Florida lost his re-election to governor Rick Scott on Tuesday. That means Nelson’s role as ranking member of the Senate Commerce Committee will likely fall to someone like Minnesota’s Amy Klobuchar or Connecticut’s Richard Blumenthal, both of whom have voted to crack down on the tech industry. But the biggest shift will undoubtedly come in the House, where Democrats will take over control of the House Intelligence Committee, which was tasked with investigating foreign interference in American elections. Current ranking member Adam Schiff would likely take on the role of chair. He’s vowed to pick the Russia investigation back up. Given the continued covert actions taken by Russia on social media platforms, such a probe could land Facebook, Google, and Twitter back in the hot seat. These new dynamics may not last long. In two years, Democrats will have to defend the House seats they won all over again. Thanks to a congressional map that’s been gerrymandered to favor Republicans in states across the country, that won’t be easy. On Tuesday, Democrats carved out a win by relying on states like Pennsylvania, where a badly gerrymandered map was recently replaced by a court-ordered one. And yet, the midterm elections also yielded wins for Democrats that could change the playing field in 2020 and beyond. A ballot initiative in Florida restored voting rights to more than 1 million former felons, who will now be eligible to vote in 2020. And anti-gerrymandering proposals passed in Colorado, Michigan, and Missouri, which would take redistricting power away from a single party and scuttle the maps all over again after 2020. By the early hours of Wednesday morning, both Democrats and Republicans were claiming a victory. Time will tell if tech’s most powerful companies can do the same. Are you a woman in a leadership position? If you’re like a lot of women, that may be a new role for you. Many women have emerged as first-time candidates for public office this election season. Now the midterm elections have brought New York Representative Alexandria Ocasio-Cortez and many other women to elected office for the first time. What should a woman in a newly powerful position do when she first gets there? “Exactly the same as a man would do,” seems like an easy answer, but it’s not good enough. “Although good leadership is good leadership, women have unique challenges because they’re women and men have different unique challenges,” says Wendy Capland, an executive coach who focuses on women in leadership, and bestselling author of Your Next Bold Move. Capland is my coach, and for the past couple of years, she’s been coaching me and I’ve been writing about it. 1. Find a sponsor–of either gender. The very first job for nearly anyone in a new leadership role is to get to know everyone you’ll be working with–your peers and counterparts in other areas as well as the people reporting to you and the people above you in the hierarchy. Your sponsor, she says, is the person who will speak up on your behalf when you’re not in the room. He or she will put your name forward for opportunities that you have no way of knowing about. Your sponsor will share contacts with you to help you succeed. Research over the years has shown that women are significantly less likely than men to have sponsors in their organizations, although they may have multiple mentors. And, Capland says, when women do seek out sponsors, they are reputed to look for women to sponsor them, whereas men are equally likely to seek sponsors from either gender. 2. Make sure your voice heard. Sadly, it’s an often observed phenomenon that in meetings and other settings–especially in groups that are mostly men–people seem to have trouble hearing female voices. “What we typically hear is often when a woman makes a suggestion at a mostly male table, it doesn’t get picked up right away and soon thereafter, a man says the same thing and everyone says, ‘What a great idea! '” Capland reports. When that happens the woman who made the suggestion originally faces an unpleasant choice: Either say nothing and let someone else get the credit for her idea, or speak up at the risk of seeming churlish, self-serving, and not a team player. Even if you have no amplifier, it’s important to make sure you’re heard on the issues you feel strongly about, Capland says. Especially if you’re new to the executive world, she recommends putting some time and effort into developing your executive presence so that you are more likely to command attention when you speak. As she explained her reasoning, it became clear that a big part of the issue was timing–she would be much more in favor of the deal if they waited six months to do it. The company did wind up waiting six months as she recommended, and when it happened, the deal was a huge success. “She believes pretty strongly that if they had done the deal when first discussed, it would have caused a big drop in revenue,” Capland says. 3. Surround yourself with people who will help you be more confident. Experts such as Capland have long flagged lack of confidence ast’ one of the ways women unknowingly can deal themselves out of career opportunities–for example by considering themselves unqualified for a role that they could in fact take on.